Do you want to increase SEO rank of your website? or Trying to find out how to get on Google search results pages? Then don't worry about that. In this article, we are going to explain how you can improve your website rank through search engine optimization (SEO). Before that, let's take a look at the concept of SEO. 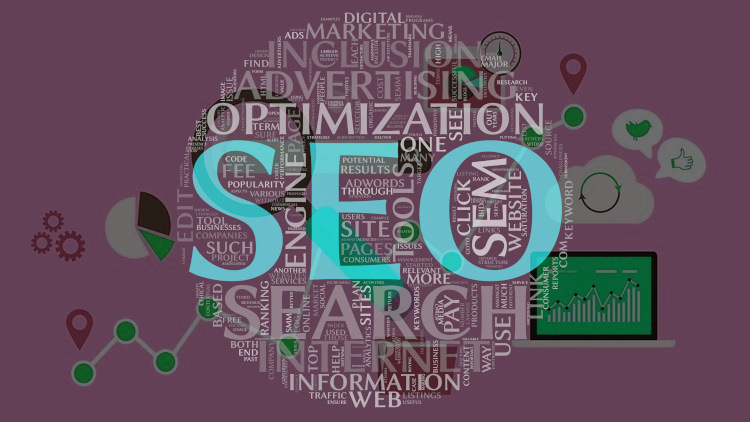 SEO is the process in which the traffic to your website will improve from search engines such as Google, Yahoo, and Bing via organic or algorithmic search results in search engines. The higher a website appears in search results, the higher the number of visitors the page will receive from the search engine. There are several methods available to improve your page ranking without submitting to the paid schemes offered by search engines. The title tag is used by search engines to display a page in search results, as well as appearing at top of the browser. These tags tell search spiders and users what your page is about. Google only displays between 50 - 60 characters in their title tags, therefore it's important to keep descriptions short, compelling and relevant. Keywords and page topics should feature towards the front. The placement of keywords throughout your site is perhaps one of the most important SEO tactics. It’s useful to take into account how someone would search for information on the specific service or product you are offering, as the keywords they use are likely to be the keywords you want to be using. BUT make sure you don’t add ridiculous amounts of keywords, especially if they are unrelated as this can lead to your site being flagged as spam. Search engine spiders are programmed to ignore ‘keyword-stuffing’. Dubbed as the free alternative to Google’s Keyword Planner (also free if you have a Google Adwords Account), Keyword Tool offers more than 750 keyword suggestions. The best part is that the tool includes long-tail keywords in the results. A sitemap - a page specifically listing and creating links to all the other major pages on your site - allows for search spiders to locate pages quickly, and with more relevance to the search in question. Therefore every page is easier to find for both the spiders and users alike and can be reached with significantly fewer clicks. It's hardly surprising that websites with a mobile-friendly interface will rank higher in Google searches. Ultimately Google is trying to provide the best user experience - so really the better the user experience on your site, the better you will rank with Google. Enter the URL of the site that you wish to test and then click the “run test” button. In just a few seconds, you will know if your website is mobile-friendly or not. Even if it is, the tool will still suggest various ways on how to further optimize your site for mobile devices. Some suggestions include using legible font sizes, sizing content to the viewport and sizing tap targets appropriately. Google is the standard for SEO and that won’t change anytime soon. Be sure to keep on top of any updates they come out with. Mobile-first content. Now that searching has moved to be primarily mobile-focused, content that shows on your mobile will take precedence in search engine crawling and ranking. People searching the web prefer fast websites - this is a fact. In fact, 88% of users expect websites to load in 3 seconds or less. If they don't, they're likely to click the back button and return to the search engine results, which is what is referred to as a "bounce." Your website's bounce rate can actually influence the way your website is ranked. If Google sees that your site has a high bounce rate because users are tired of waiting for it to load, they may rank you lower than other similar websites. They want their users to have a good experience, and slow sites are not part of that experience. One of Google’s largest points of emphasis is page speed. An understanding of how networking impacts page speed is a must to be effective in search engine optimization. HTTP/2 is a large departure from HTTP/1.1. This will make a dramatic contribution to page speed. Many small businesses like to run their sites using Flash as it is easy to launch and is fairly cheap. However, Google always ranks Flash sites lower than sites running on alternative platforms - partially because you cannot link to an individual page. Changing a Flash-based site to WordPress will hugely increase your search engine rankings. Pictures and other images are great for your website. But you need to make sure they are optimized properly if you want these images to improve your SEO ranking. Huge images can slow your page loading time, which, hurts your ranking. Resize or compress your images to optimize them. You can also use your images to sneak in keywords by naming them accordingly. You can also strategically use keywords in the title of your image as well as the caption or description. I’m sure this is something you would be doing regularly anyway - but even so, it’s an absolute must! Regularly updated content is viewed as one of the best indicators of a site’s relevancy. Make sure to keep it fresh. SEO is no longer about choosing certain keywords but is about clarifying intent. Brands need to ensure that their online content is based on intent and what users want to find when they search for your brand. Cross-channel marketing will become more important in 2018 as well and will affect the SEO viability of a company’s pages. If you’re using authority websites for hyperlinks, you shouldn’t have to worry about the links breaking. But it can still happen. Broken links can crush your SEO ranking. Plus, it doesn’t look good when a link you provide to your visitors brings them to an invalid website. Well, if a link goes dead on another website, you can notify the webmaster of that page and ask them to replace the dead link with a link to your website instead. You’re doing them a favor by letting them know about a problem with their site, so they might be willing to do you a favor in return. This will drive more traffic to your website. Outbound links from other websites to your page will help improve your SEO ranking. Take your time when you’re coming up with a layout for your website. It needs to be neat, clean, organized, and uncluttered. Consider things like your font size and typography. Use colored text, bold font, and italics sparingly. Things such as bullet points and checklists make it easy for visitors to scan through your content. A clean format and design will improve your SEO ranking. To make your content more useful and relevant, you can link out to authority sites for more in-depth information your readers can use. Linking out to well-respected authority sites will not only increase the relevancy of your content and time readers spend on your site, but it is also believed to send trust signals to Google and improve SEO ranking. However, more is not necessarily better. Too many outbound links can be distracting and make the content hard to get through. The number of Facebook shares, Tweets, Pinterest pins and other social media mentions can influence SEO rank. Installing social sharing buttons on your website not only makes it easy for users to share your content, and thereby improve user experience, it can also help you rank higher on searches. Search engine optimization isn’t just a fad that’s going to phase out soon. It’s something your website needs to concentrate on right now and in the future as well. If you’re just starting to focus on SEO, you’re a little bit behind, but it’s definitely not too late to implement the strategies. Don’t get overwhelmed. Start with a few, and move on to the others. Monitor your results. Checking your traffic and search ranking will help validate your SEO strategy. Soon enough, you’ll be making your way toward the top search results on Google.